Andrew Whitworth is an American football player who joined the professional league in 2006 after he was drafted by the Cincinnati Bengals in that year’s National Football League (NFL) Draft. In 2017, he joined the Los Angeles Rams and when the team signed him, they got much more than just an offensive tackle because Andrew is an embodiment of many years of experience. As a matter of fact, he is currently the oldest offensive tackle playing in the NFL and it appears he is not yet ready to take a bow. The talented player has been named to the Pro Bowl four times. He has also been named to the First-team All-Pro twice (2015, 2017) and Second-team All-Pro in 2014. A native of Monroe, Louisiana, the American football giant was born as Andrew James Whitworth on December 12, 1981, to James Whitworth and Charlotte Whitworth. He graduated from West Monroe High School, West Monroe, Louisiana, in 2001 and while he was there, he played football with the Rebels under coach Don Shows. Andrew Whitworth was part of the 1998 and 2000 Louisiana Class 5A State Championship teams when his school was listed as National Champions by the National High School Football Tony Poll. For this and other notable accomplishments, CNNSI.com rated the player as the sixth-best offensive line prospect nationally. As he excelled in high school football, Andrew was also a star tennis player and a wonderful golfer. He later enrolled into Louisiana State University, playing for the Fighting Tigers football team. After being red-shirted in 2001, he began playing in 2002, starting all the games. As a result of his performance, Andrew was named a first-team Freshman All-American by The Sporting News and Football Writers Association. At the end of his college career, the young chap made 22 straight games of no sacks allowed and 104 key blocks/knockdowns. He also started a total of 52 games which ranks second in the history of NCAA Division I, behind Derrick Strait of Oklahoma who made 53 starts between 2000–03. In his junior and senior seasons, he earned All-Southeastern Conference first-team honors and also a consensus nod as a senior. During the 2006 NFL Draft, Andrew Whitworth was selected by the Cincinnati Bengals with the 55th overall pick in the second round and he made his professional debut on special teams at Kansas City. On July 25, 2008, Whitworth agreed in principle to a four-year, $30 million contract extension that kept him in Cincinnati through 2013. At the expiration of the contract, the Bengals handed him a one-year contract extension. When this elapsed, Andrew moved on to the Los Angeles Rams in 2017. After his one year contract with the Bengals expired, Andrew Whitworth signed a three-year contract worth $33,750,000 with the Los Angeles Rams on March 9, 2017. This includes a $5,000,000 signing bonus, $15,000,000 guaranteed, and an average yearly salary of $11,250,000. He earned a cap hit of $9,166,666 in 2017, $9,174,166 in 2018 and in 2019, he will be paid a base salary of $10,250,000, a roster bonus of $500,000, and a restructure bonus worth $3,492,500. This brings his cap hit for the year to $15,909,168. Various figures have been quoted as his net worth but we haven’t been able to authenticate any of them. 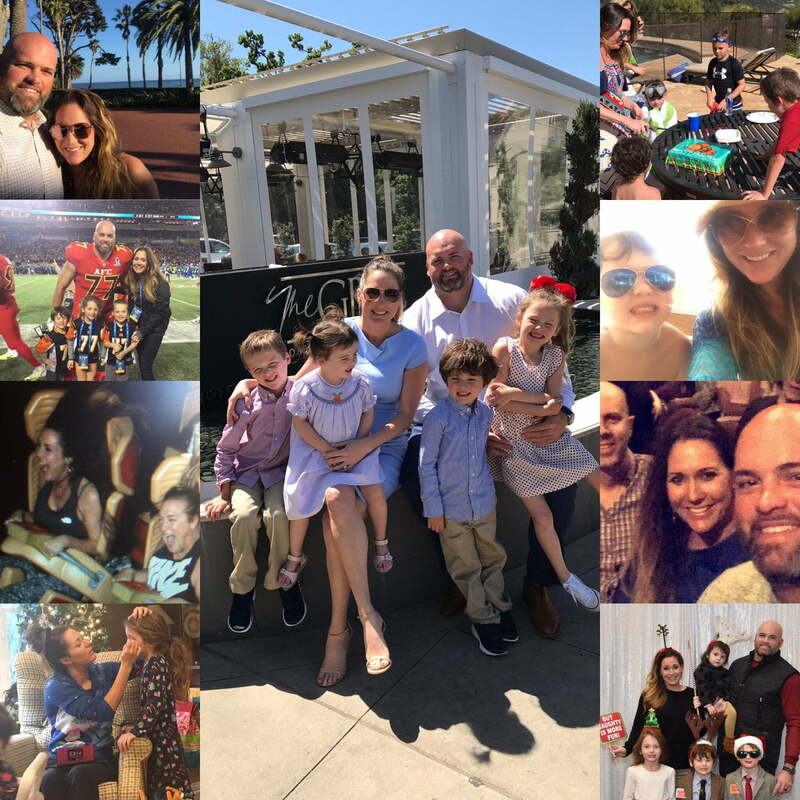 Andrew Whitworth is married to a beautiful lady named Melissa Elise Whitworth (nee Clark). Born on April 29, 1980, in Ruston, Louisiana, Melissa is the daughter of Cindy Clark and Michael Earl Clark. She was a student at Ruston high school and when she graduated, she moved on to Louisiana Tech from where she bagged a bachelors degree in sociology in 2003 and later, a Masters in Industrial/Organizational Psychology. Before her marriage to the football player, Melissa was involved in beauty pageantry. In 1998, she won Miss Teen Louisiana and in 2000, she was one of the contestants at the Miss National Sweetheart but didn’t win. The following year, she participated again in the latter contest and won. She also won the 2003 Miss Louisiana pageant. In addition to winning different pageants, she also took home the mirrorball trophy of the Cincinnati version of Dancing With the Stars in 2016. All that aside, the gorgeous NFL wife is an award-winning journalist. She has worked for the NBC10/Fox14 News in Monroe, Louisiana, and it was at this time that she met Andrew. They started dating and with time, their relationship translated into a marriage in 2006. Together, the couple founded the Big Whit 77 Foundation in 2009. They are blessed with four beautiful children, the first being a set of twins named Sarah Bearah and Drew, born in February 2011. Michael Lee was born in 2013 and Katherine Kay followed in October 2014. Andrew Whitworth has just the right height and weight for the position he plays in. According to his NFL Combine results, the offensive tackle stands at a height of 6 feet 6 inches (2.0 m) and weighs 151 kg (334 pounds). His arm length and hand sizes are 35.00 inches and 10.13 inches respectively, while his front and back shoulder measure 14.0 inches and 13.0 inches.